Hunters & Hunter Ponies–the horse’s manners, suitability, and way of going are judged. Within these divisions, there are multiple sections for every combination of horse and riders. Green hunter_horse that is in his first or second year of showing in classes requiring the horse to jump 3’6″ or higher. Regular hunters_those not restricted by previous showing. These two sections may be further subdivided according to the size of the horse, his weight carrying, breed (TB or non-TB), age of horse or rider, or actual field hunting experience. In the conformation classes, the horse is judged 60% on his performance, and 40% on conformation. Hunter pony sections_group ponies according to their height: small: not to exceed 12.2 hands; medium: over 12.2 and not to exceed 13.2 hands; and large: over 13.2 but not to exceed 14.2 hands. Only children may handle ponies in the hunter pony division, except in the breeding classes in-hand. In addition to these pointed sections, (i.e. these sections are eligible for year end awards and championships,) there are also non-rated classes, which include maiden, novice & limit hunters, which restrict the number of blue ribbons won by a horse in a hunter over fences class at an AHSA member competition. Maiden_a horse that has not won a blue ribbon, novice_a horse that has not won 3 blue ribbons, and limit_a horse that has not won six blue ribbons. The hunter hack and bridle path (hunter type) hack sections show at a walk, trot, and canter both ways of the ring. The hunter hack class will then jump two obstacles, and gallop one way. The bridle path hack horses do not jump, but are asked to hand gallop, back easily, and stand quietly while the rider dismounts and remounts. To simulate the hunt field, there are also pairs of hunters classes in which two people ride a course either abreast (side by side) or in tandem (one after the other). If riding tandem, they must show a change of leadership. There is also a hunt teams division in which members of a recognized Hunt ride in actual hunting attire. Preliminary jumpers_for horses that have won less than $2500 in jumper classes or are still in their first year of showing. (A horse must be recorded with AHSA.) Intermediate jumpers_for horses that have earned less than $5000 in jumper classes. 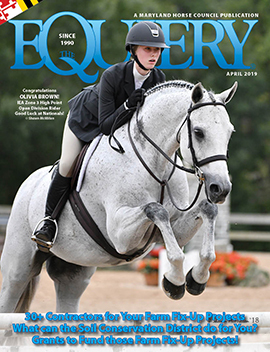 Horses may show for one year from the time they are classified as Intermediate jumpers. Open jumpers_for horses that are no longer eligible to compete as intermediate jumpers. Table I–touch classes: jumping faults incurred by touching the jump in some fashion, even if the jump is not knocked down; refusals; errors on course. Table II–knockdown classes: scored as in Table I, except that touches are not faulted; In ties, there are various types of jump-offs which determine the winner. Table III–converts faults into seconds. Table IV–specifies faults and jump offs for Preliminary, Junior, Amateur Owner, and all sections at local competitions. AHSA defines its competitors as: adult or senior: an individual who has reached his 18th birthday as of Dec. 1st of the current competition year (except for dressage or combined training). A junior is an individual who has not reached his 18th birthday as of Dec. 1st of the current competition year. Persons born on Dec. 1 assume the greater age on that date. Classes for specified individuals (instead of specified horses) are: Children’s and Junior classes, although both for individuals under 18, vary in the height of jumps, and riders in the children’s section may not cross-enter into other sections. The junior division is pointed for Year End Awards, and is for those youngsters moving up in skills and experience. Amateur classes are restricted to amateurs as defined by the AHSA. Amateur Owner classes require the rider to be the owner (or a member of the owner’s family) of the horse. Leased horses are not eligible for the amateur owner classes. Open classes allow anyone who is not limited by their division to ride. The AHSA competition year begins on December 1st, and runs through November 30th of the following year. Many active competitors “go south” for the winter, showing in Florida on the winter outdoor circuits. For many horses and riders, the winter Florida circuit is their first exposure to the rated shows. 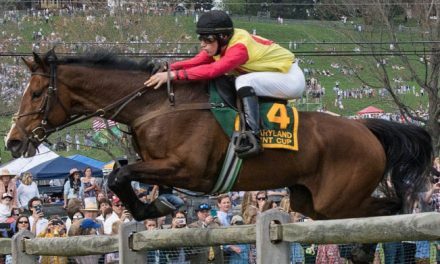 The heat of the summer then sends many riders north, to shows in Vermont, New Hampshire, New York, and Pennsylvania, where the atmosphere may be laid back, but the competition is intense. The show season culminates in the fall with the indoor shows, including the Penn Nationals at Harrisburg, PA, the Washington International Horse Show, and finally the National Horse Show, which is back at Madison Square Garden in New York City after almost a decade at the Meadowlands in New Jersey. Riders and horses qualify for the indoor circuit by earning points during the rest of the year.